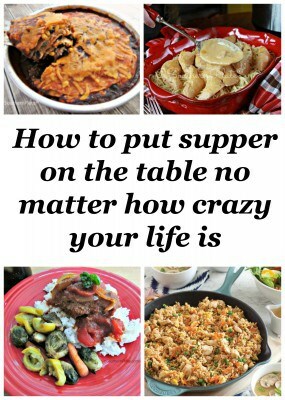 Southern Plate Radio Show – 3 Backup Plans to Help You Put Supper On The Table No Matter How Crazy Life Gets! Listen to the first episode of the Southern Plate Radio Show right here! Just click play up at the top. You can also subscribe to the show by subscribing to the Survival Mom Radio Network on iTunes by clicking here. New Shows will be up each Monday! In this week’s episode I share the THREE backup plans I use which help me put supper on the table every night no matter how crazy life gets. I spoke on this at the Becoming Conference recently and received great feedback from folks in attendance so I’m sharing it with you today and hope you’ll find it as helpful as they did. Be sure to SUBSCRIBE to Survival Mom Radio on Itunes and tell your friends. We would also LOVE to get a Customer Review from you on iTunes. Customer Reviews help us to reach more people and share our knowledge. Then you can use the link below and add that to the word SUBSCRIBE and it will take them directly to the Survival Mom Radio Network on iTunes. 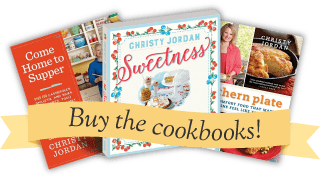 Southern Plate Radio – A Special Interview! Love, love, loved this! I love your Southern voice, as well as your beautiful soul! I loved the show, God sure has blessed you my dear, and you pass that blessing on to us.Thank you so much . LOVED THE SHOW TODAY!!!!!! It was so great to hear about your busy life as well as all the great tips. Hearing how busy you are makes you even more special as you never fail to make all of us that read your blog feel like part of the family. Thank you Christy you are such a blessing to me. It seems on my worst or loneliest days I open an email and there’s either a wonderful letter and recipe or a Lifesaver! I have a question is the subscription to I-Tunes a paid subscription? Also thank you for putting what you do on Facebook on your blog as there’s many of us old fogies that do not do Facebook. Thank you so much for listening Marsha!!! It is totally free, the podcasts are free as well!! Really enjoyed your show and look forward to more episodes. This is right up my alley! Thank you so much for listening Linda!!! Christy, I enjoyed this first show very much. Thank you for all the tips you shared to help make our lives easier. Your tips today gave me a lot to think about as I plan meals for my husband and me. Thanks so much for emphasizing how important it is for families to share that evening meal together, and to keep in touch with each other. Our two boys are grown and have families of their own and I realize how important these times are. It all seems to just happen way to fast doesn’t it Janel? I am so glad you enjoyed the show and I thank you for listening!! WoW what a GREAT program! I have an older PC and didn’t think I would be able to listen,but was sooooooo glad I could.Keep up all your good work encouraging others and helping families!!! Thank you for listening Rita, I am so glad you were able to as well!! Christy, loved the radio show and hearing your voice. You have such good ideas about meal planning and menus. Your recipes are practical and easy…..thank you so much. Thank you!! I am so glad you enjoyed it!! Great show Christy. Love listening to you. Please remind us each time you have a new one coming out. Thank you so much Joan, I will!!! Love you site. My degree is in Vocational Home Economics Education from the University of Oklahoma. I know the profession has changed the name but I do appreciation hearing you call it home economics!!! Loved the show. And the ideas. I love your emphasis on family meals, family time, Sunday suppers. This seems to be something that is sliding away from our society. It should be embraced, preserved and cherished! Thanks for all you do and who our Lord created you to be! LOVED the program!!! Great job, Christy!!! Thank you Selma, I am so glad you enjoyed it! Great job, Christy! I’m getting busy on all these back up meals-already started some of the bag meals for the pantry. Looking forward to your next radio spot; it’s almost as nice as having you come to visit, dear friend! LOVED the show, Christy. Thanks so much for all your tips, recipes, and positivity.